The Diamond Chase Draw-Bar Frame will last you a life time. The frame is guaranteed watertight for life. 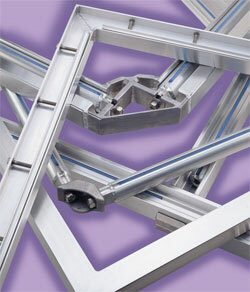 Replacement draw bars, bolts, and the nylon locking rod are available as needed. Though part replacement is easy to do, Eino Products will do it for you upon request, call for pricing. Cylinder Press Frame Rebuild Kits are available – see Draw-Bar Frame price list for pricing.